So 2018 is upon us, and this blog and the Database have been bereft of updates since Summer. What gives? Well, I've finally been doing what so many of you have urged me to all these years- working on publishable papers. Because of this, there won't be the annual Database update today of all new described taxa. Those entries take a lot of time and I successfully fought the urge to write them. They will be done eventually of course. Similarly, I've wanted to write some blog entries such as one on my acquisition of an original copy of Wild's (1973) Tanystropheus monograph, but that will have to wait. The good news is that both publishable projects are near completion and could very well be submitted in January. For the Lori project, I just have to check several characters for the maniraptoran OTUs and run the final analysis, then send it to Hartman. These were characters that I refined or quantified, and a few that replaced bad characters. 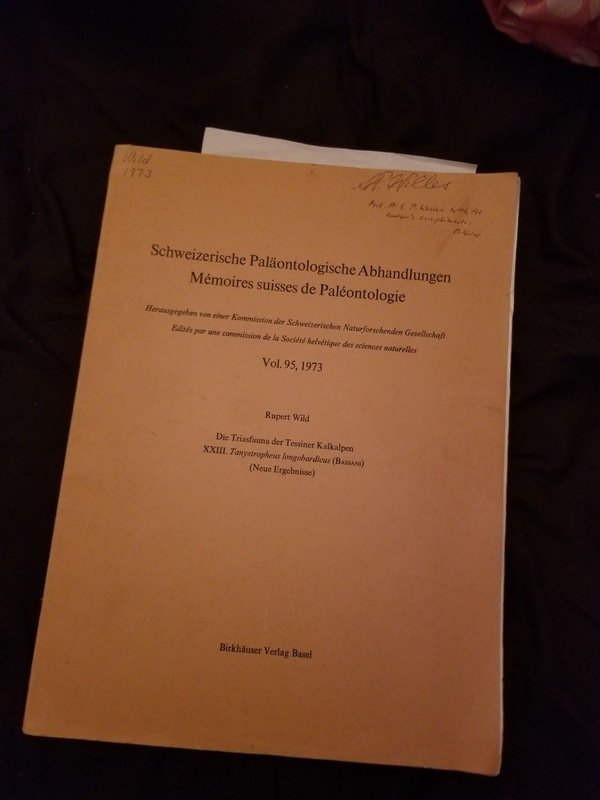 Every taxon that can be usefully resolved is in there, even Halszkaraptor and Almas (which was already included as IGM 100/1323, that I studied at the AMNH). The former doesn't resolve as a basal deinonychosaur and the latter doesn't group with IGM 100/1128, contrary to the only published results for either. Btw, if anyone can write macros for TNT or get me in contact with J. Salvador Arias of the Universidad Nacional de Tucumán, it'd be greatly appreciated. For the Ornithoscelida project, my team (Cau, Gardner, Deccechi and Marjanovic) and I basically have to provide references for some scores (which I'm responsible for as I did the scoring, and so am the one causing the holdup), complete the bibliography and finish the conclusions. And create figures. I was briefly disheartened by the publication of Langer et al. (2017), but our paper is so much more extensive and explicit that I feel it will significantly add to the conversation, and Langer et al. messed up quite a bit too. For instance, remember how Baron et al. (2017) scored 30 taxa that lack preserved integument as lacking filaments? Langer et al. only changed nine of those scores to unknown despite perhaps being the most obvious error in the matrix. We detail some of their errors in the paper as well. References- Wild, 1973. Die Triasfauna der Tessiner Kalkalpen. XXIII. Tanystropheus longobardicus (Bassani) (Neue Ergebnisse). Schweizerische Palaontologische Abhandlungen. 95, 1-162. Baron, Norman and Barrett, 2017. A new hypothesis of dinosaur relationships and early dinosaur evolution. Nature. 543, 501-506. Langer, Ezcurra, Rauhut, Benton, Knoll, McPhee, Novas, Pol and Brusatte, 2017. Untangling the dinosaur family tree. Nature. 551, E1-E3.